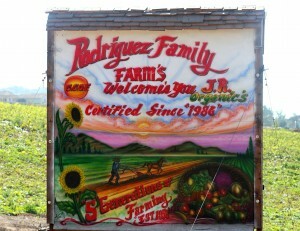 “Welcome to your farm,” said Joe Rodriguez of J.R. Organics. It took me by surprise. “My farm?” I wondered. “I thought it was your farm.” But I didn’t say it aloud. It was not that I didn’t understand his meaning. I did. 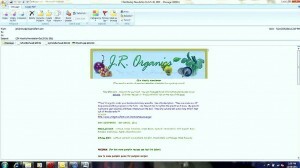 We are members of J.R. Organics’ CSA. As such, in one sense it was, at least in some part, our farm. Community Supported Agriculture (CSA) is an alternate food distribution network movement started in post World War II Germany that took root in the United States in the 1980s before catching on in the past decade. With the rise of Farmers’ Markets and the Slow Food Movement, the ethos of CSAs and the exposure of those offering them created conditions under which consumers predisposed to the CSA concept had ready access to farmers with just such a thing on offer. The concept – at its root and in its purest form – is that a farm makes its annual budget open (the whole year and for the entire array of products to be produced) and those in its community agree to collectively fund the entire production and share in its risks. While the collective communication aspect of the purest forms of this system is largely missing from the American incarnations of the model the broad outlines remain both real and clear. The ideas that grew into the modern CSA concept were born nearly 100 years ago in the work of Austrian philosopher Rudolph Steiner (1861-1925). His ideas were put into practice in post-World War II Europe before making the crossing of the Atlantic where they were simultaneously but independently implemented in the mid 80s at two farms in New England: Indian Line Farm in Massachusetts and Temple-Wilton Community Farm in New Hampshire. From two farms in 1986 to sixty CSAs in 1990, by the middle of the last decade the movement had grown to 1700 farms. LocalHarvest, one of the most comprehensive directories of CSA farms, currently lists over 4,000 CSAs in its database. 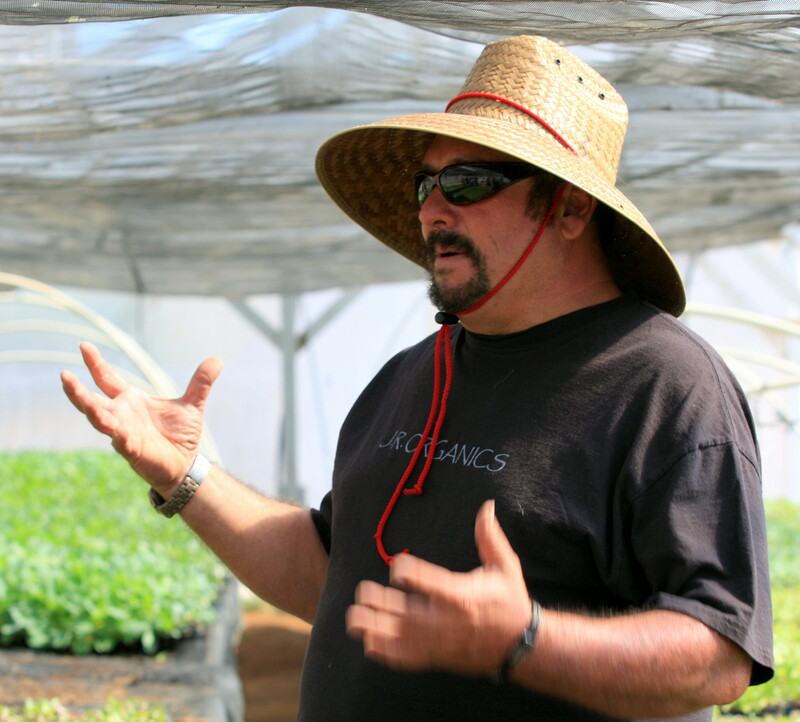 J.R. Organics – our CSA — is a certified (CCOF) organic vegetable farm located about 40 miles north of San Diego on the outskirts of Valley Center (to the extent such a notion is not utterly oxymoronic. 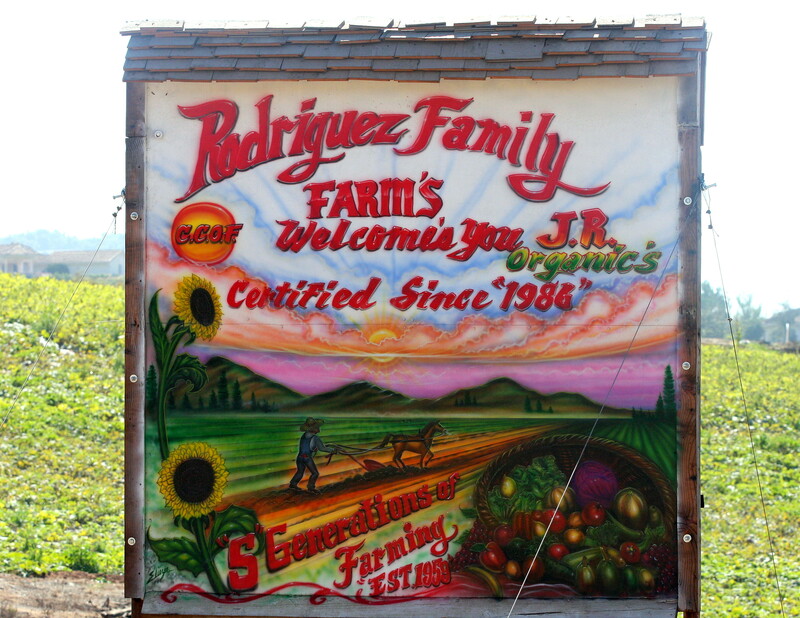 The land was pioneered by the Rodriguez family in the early 1950s, and is now farmed by Joe Rodriguez, a fourth generation farmer. It took years for Joe to convince his skeptical father to convert from conventional agriculture methods to organics. At first, Joe Sr. agreed to let him farm 5 acres using his organic means. But 5 acres led quickly to 10 and before long pesticides were replaced by beneficial insects and some of the best organic techniques available, including crop rotation, green manures and contour plowing. 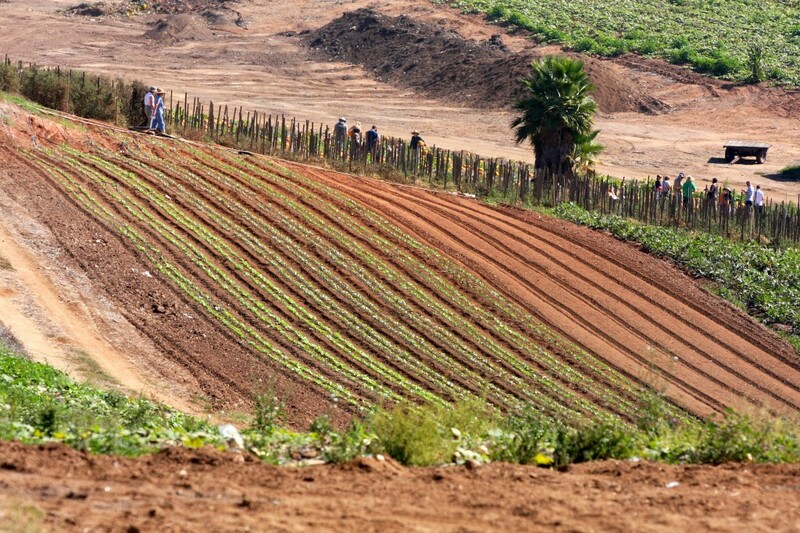 In addition to compost, the fertilizers include rock phosphate, green sand, worm castings and minerals. Before long, the organic approach led to a change in the farm’s business model: a Farmers’ Market strategy based on the high quality of the produce. 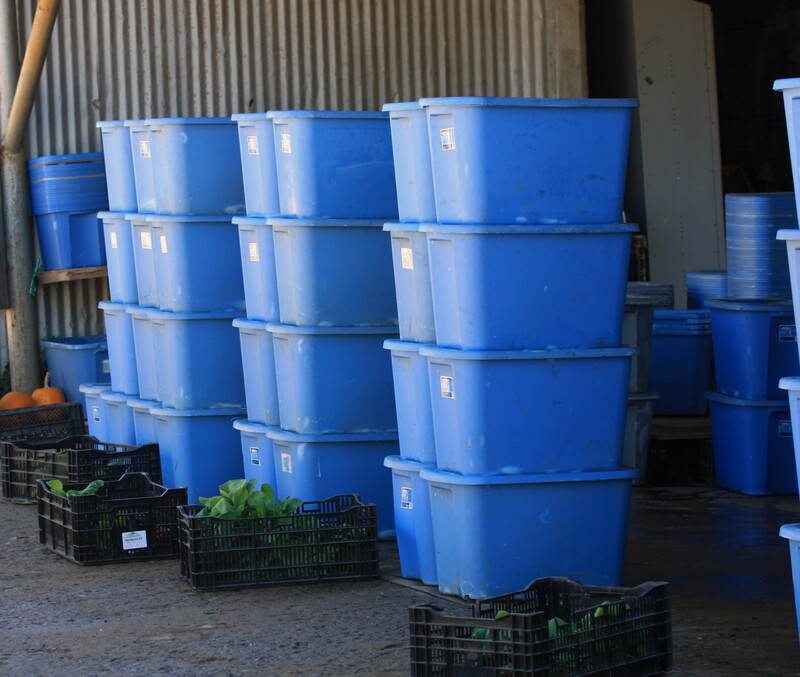 From there, it was only a matter of time until the entire output of the farm was distributed through its CSA, Farmers’ Markets and contributions to two multi-farm CSAs. 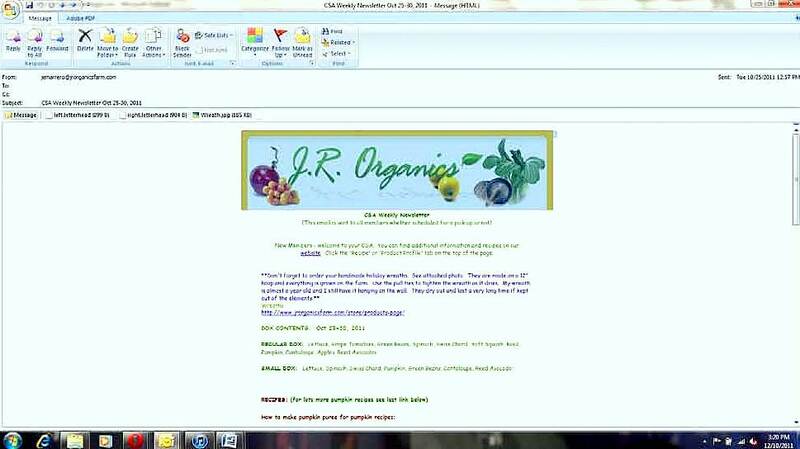 On Tuesday of each week J.R. Organics’ Joan Marrero sends each CSA member an email with a Weekly Newsletter informing the members what produce will be in their weekly blue basket, offering suggested recipes and other helpful information. 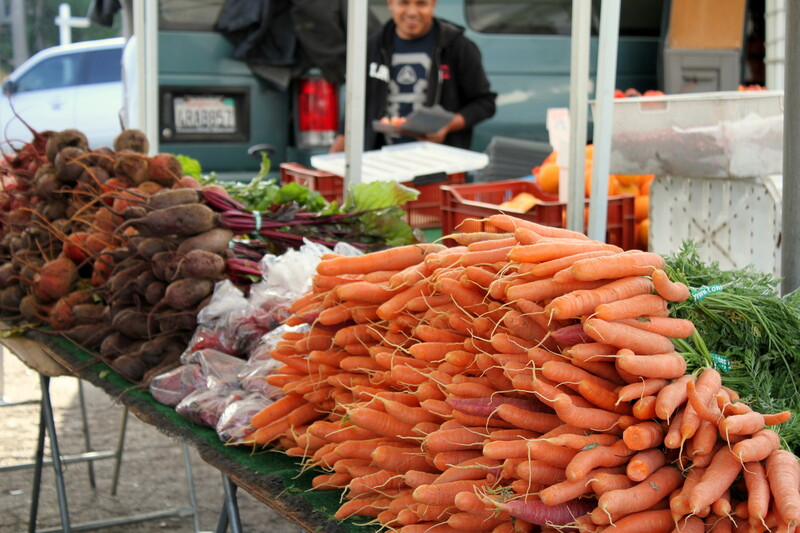 We pick up our basket at the Hillcrest Farmers’ Market on every Sunday. 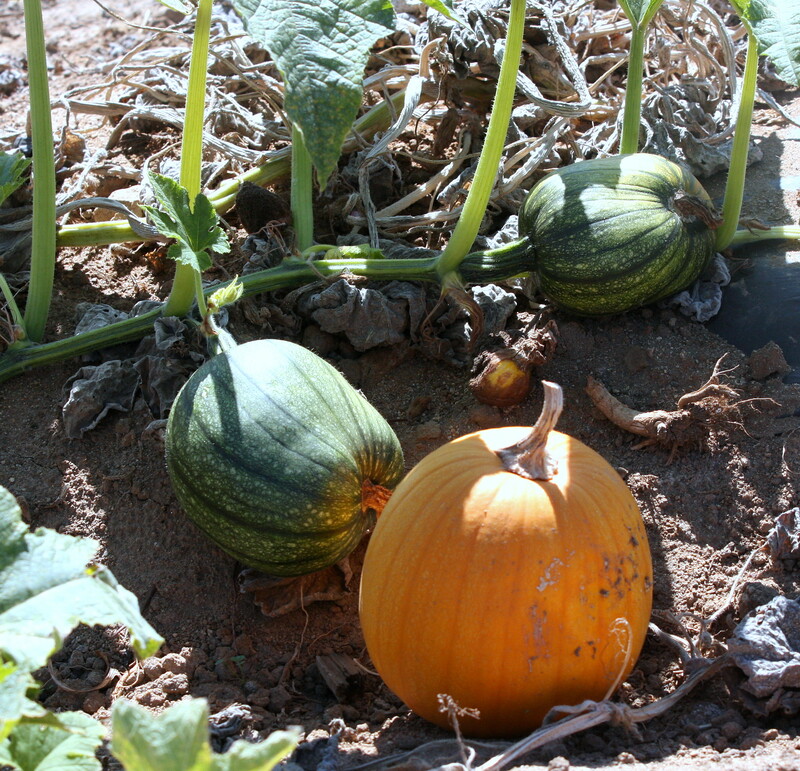 Having spent the prior Saturday on a tour of the farm – a fundraiser for Joe’s charitable trip to Mali at which he was going to train Malian farmers on organic farming techniques (especially in view of the highly detrimental effect conventional farming techniques have had on Mali’s already limited and stressed agricultural resources) – we were well stocked with pumpkins. 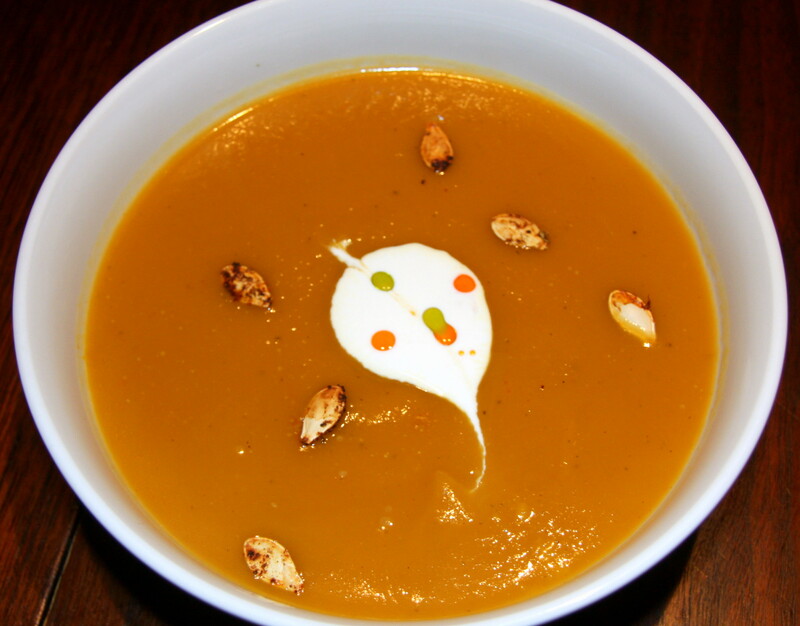 Accordingly, a Pumpkin Soup was in order. Prepare the Pumpkin Puree. Preheat the oven to 375° Fahrenheit. Cut the pumpkin in quarters using a large chef’s knife. Scoop out the seeds and stringy interior fibers. Separate the seeds from the fibers, reserving the seeds for the garnish. 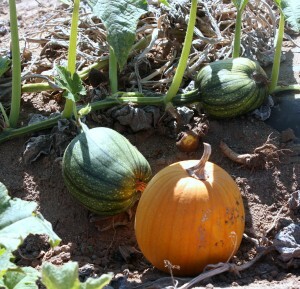 Place the pumpkin quarters on a hotel sheet and season with salt, pepper and grated nutmeg and drizzle with olive oil. Roast in the oven until the pumpkin flesh is soft and the surface lightly caramelized. Prepare the Pumpkin Seeds. Transfer the pumpkin seeds to a hotel sheet. Sprinkle the seeds with salt, pepper and ground chipotle pepper. Place the seeds in the oven and roast for thirty minutes. Be careful not to burn the seeds (which, once removed from the oven and the hotel sheet will continue to cook for at least five minutes). Puree the Pumpkin. 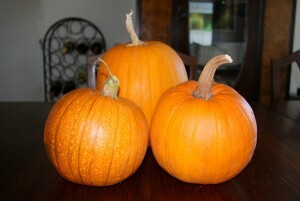 When the pumpkin is ready, remove them from the oven and cut the flesh from the rind. Transfer the flesh to a food processor and puree. Begin the Soup. Dice the leeks, carrots and fennel and transfer to a large soup pot. Season with salt and pepper and sweat the mirepoix. Add the pumpkin and stock and bring to a boil. Reduce the heat and simmer for forty five minutes. Puree the Soup. Puree the soup using an immersion blender or, working in batches, a food processor (or, better yet, a high speed blender). Prepare the Mexican Crema. Pour the crema into a bowl, season with salt, pepper and grated nutmeg and whisk to combine. Plate the Dish. Ladle the soup into bowls. Pour a small pool of the crema in the middle of each bowl, take a knife and pull it – north/south style – through the pool of crema. Drizzle with the herb and chile oils to garnish. Sprinkle the pumpkin seeds around the bowl. 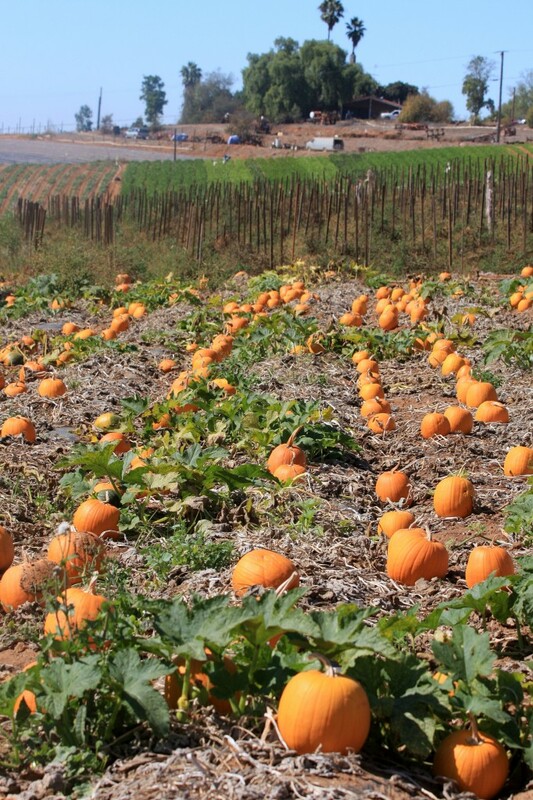 * Sweet Pumpkins are sometimes called Pie Pumpkins. If you use the Jack O Lantern type pumpkins, the larger and less sweet variety, you will have to add some brown sugar to the recipe. A better substitute would be 2 Butternut Squashes. Michael, good read. Next please. Where’s my facebook like tab? ?